One more warning from UK’s Financial Conduct Authority was issued recently. 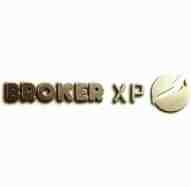 It concerns the forex firm Broker XP. According to the regulator, this broker has been providing financial products and services in the country without being authorized. The company operates on the website www.brokerxp.com and offers trading in many currency pairs and multiple CFDs. There is quite confusing information about the operating address on the website, which is in Hungary, Budapest, when the contact phone number is British. Broker XP is owned by two companies: M&A Mergers and Acquisitions Consultancy LP, located in Edinburgh, Scotland and Aviant Marketing Limited, incorporated on Marshall Islands. Most of the companies which have an offshore regulation turn out to be fraudulent, as getting the license cost much more cheaper and the requirements are not that strict. Many of such companies are outright scams, and even if they are not, their clients have no protection whatsoever if something goes wrong. Also the internet search gives the numerous negative reviews about the broker firm. Those who invested are desperately trying to get their money back, and unable to even reach the representatives of the company. All brokers licensed by UK’s Financial Conduct Authority are under the umbrella of the Financial Services Compensation Scheme (FSCS), which can pay up to £50,000 per client. Unlike FCA-licensed brokers, unregulated ones are not obliged to keep their clients’ money in segregated accounts. You can read our review on this broker here.